We were recently challenged by the Fernet-Branca marketing folks to come up with a festive cocktail using Fernet. They make the very good point that many people think of shots when it comes to Fernet, which we think is a damn shame. We love mixing with this stuff, in case that wasn’t obvious. 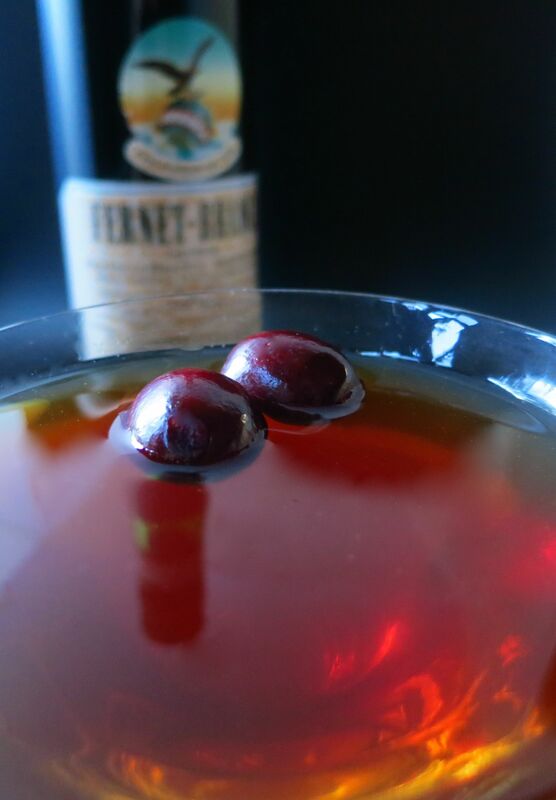 😉 So we set out to create a tasty and festive Fernet Branca cocktail that would be appropriate as a pre-dinner drink for your next holiday party. Read on to find out what we came up with. Back when we deconstructed the Black Lily, we discovered that Fernet plays very nicely with orange liqueur and the acidity of lime. So we thought perhaps cranberry syrup might pair well, since it brings a similar flavor profile of fruit and tangy acidity to the party. Turns out we were right. 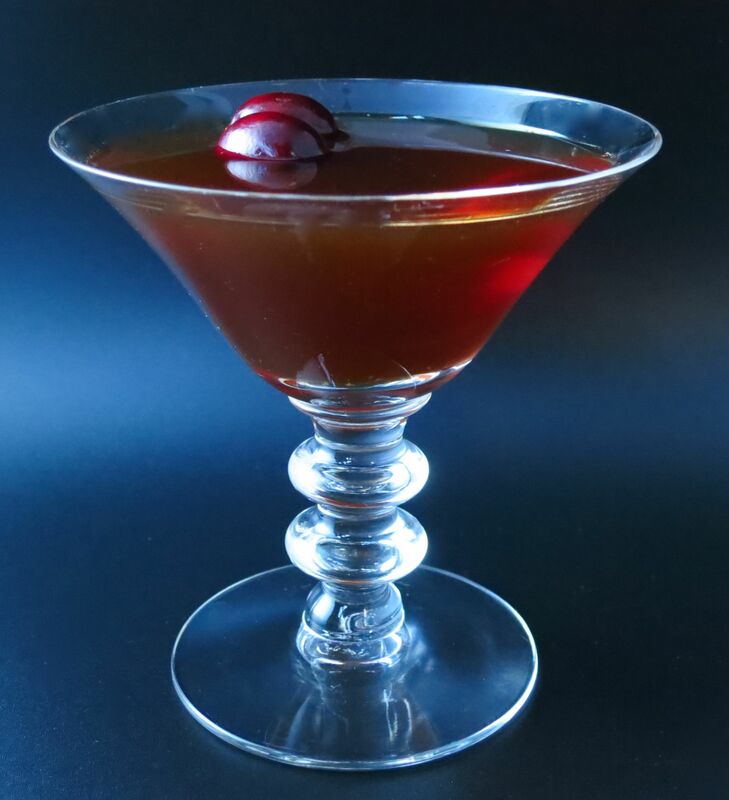 We still thought it could use some bright citrus flavor still, so we added orange liqueur. Once we had the core flavors worked out, we needed to decide on a base spirit. Aged spirits definitely seemed the way to go, since we were wanting a richer style cocktail. With that in mind, we gave cognac a try, and it worked nicely. However, once the drink was assembled and stirred, it was still a bit flatter than we wanted. A dash of orange bitters to compliment the Cointreau and a few drops of good old Angostura rounded things out nicely. Stir with ice. Strain into a glass. Garnish with a couple of cranberries. Nose: Camphor, orange, and ginger bread. Palate: Sweet orange and brandy to start ,with the wine-y notes of the brandy really standing out. Toasty ginger bread, cranberry, camphor, and candied citron on the mid-palate. Finish is tart cranberry, orange peel and bitter spiciness that move into a long, dry finish. The cranberry adds a welcome acid backbone throughout. With the orange, cranberry, candied fruit and ginger bread notes, this cocktail really does make us think of yuletide festivities. So at your next holiday get-together, break out the Fernet and start mixing, because shooting it is a waste in our opinions (generally, we think that if the only way to get a drink down is to shoot it, you probably want to choose a different drink ;)). It’s more of an ensemble player than you might think, and definitely worth getting to know better. 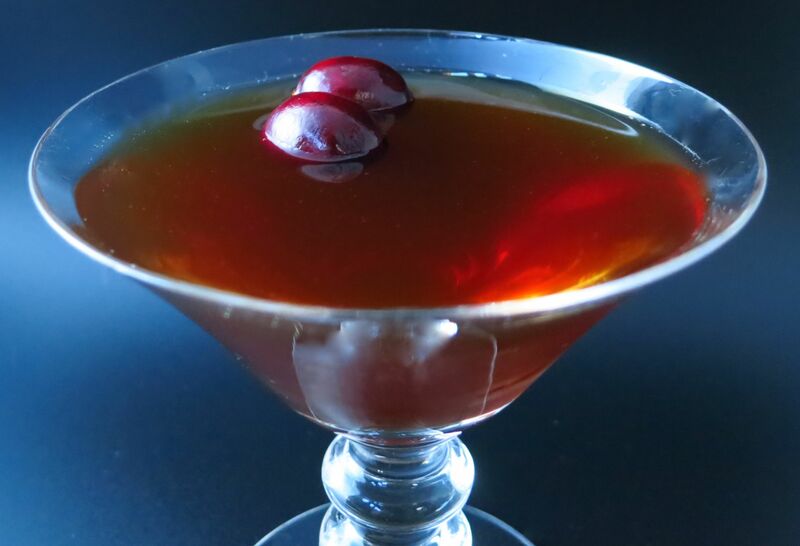 This entry was posted in angostura bitters, cognac, Cointreau, cranberry syrup, fernet, orange bitters and tagged a gracious plenty cocktail recipe, FestiveFernet-Branca. Bookmark the permalink. I made a “candy cane” martini for the bar I work at using vodka, fernet branch menthe and luxardo cherry syrup. Delicious!